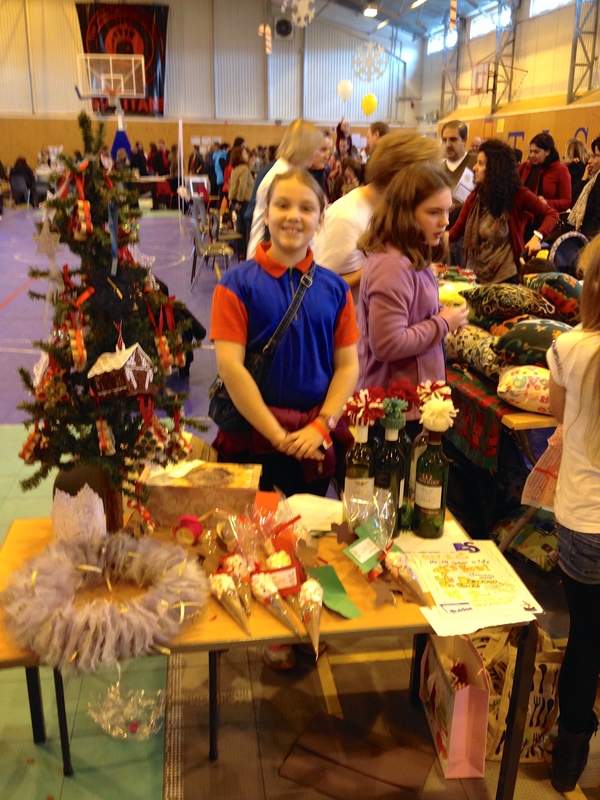 This weekend was the school’s winter fair. There were vendors in the old gym, games in the primary corridor and international food court, Santa’s secret shop (where the kids can shop in secret from their parents), books sale and of course Santa’s grotto. My two decided to pass on seeing Father Christmas (first year that has happened!) but did enjoy the games and going into the shop by themselves – all items are 5azn which they pay on entry so can just browse and pick what they like. The gifts are very nicely presented in red bags all sealed so I’m not allowed to peek. The old gym looked really nice with all the different stalls in it. Gregor and I didn’t stay for long but Katrine stayed for lunch – and had Indonesian food, which she said was extremely nice. One thing we did pick up from the winter fair was a gingerbread house kit. Lots of fun was had the next day putting it together. Katrine being let loose with the piping bag. Using egg cups and glasses to hold the walls up. Once the house was finished it didn’t take long before Lego people moved in. And typical Lego people started a snow ball fight! Maddie’s school had a winter fare as well, very hot , very noise and Maddie had a great time buying even more soft toys at 10p or 40 p a go. Never have enough soft toys!! I bought a book – what a surprise! just supporting …. Lovely pictures and the ginger bread house looks good enough to eat. We had gingerbread house for breakfast this morning. We had to wait for Richard to come home but now we can tuck in.